Jim Freeman writes fiction, poetry, political and social observation. 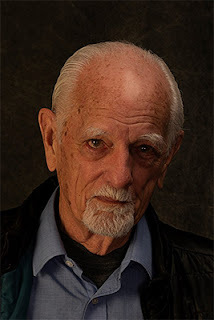 Born in Evanston, Illinois in 1935, his approach across all genres intends what he expects to be a conversation with his readers, trusting that a literary friendship will evolve from that. This is particularly true of his political and social writing where, rather than offering up answers, he declares ‘here is the issue, let’s talk about it.’ That approach is equally apparent in his narrative style of poetry and dialog-driven fiction. Life experience informs writing and Jim’s ups and downs over seven decades provide him with an exceptionally broad personal point of view. He worked at numerous jobs, from delivering pharmacy prescriptions to selling automobiles and working alongside migrants at agricultural labor while, on the other end of the spectrum, competitively showing horses. After a two year study of ornamental horticulture at Michigan State University, he served in the U.S. Army medical corps between the Korean and Vietnam wars, then joining the family landscape design and construction company. Besides its inherent creative satisfaction, his career as a landscape architect gave him unique access to the personal lives of the wealthy, along with the opportunity to collaborate with prominent architects and developers and work with large corporations as clients. If he sets his scenes in vast country estates, spectacular offices, country clubs, yachts or hunting lodges, these relationships allowed him to be there and see it first-hand. Running a family business brought him, along with those pleasures, thirty-five years sweating payrolls and bank loans, worrying over the weather and dealing with periodic real estate crises. He closed the company in late 1992 and moved to Europe to write, travel and see the world from a different perspective, much of it from a motorcycle. He quickly found a vibrant community of writers and artists in Prague, many of them two or three generations younger and those friendships color his writing as well. He met his third wife, Michaela, in Prague and she’s been his companion now for nearly two decades. Freeman’s a prolific writer, authoring three novels, three collections of poetry, two non-fiction books and a five-volume set of observations on America. Additional work includes a screenplay, several one-act plays, travelogues, some essays and articles. Jim’s op-ed pieces are all over the internet, regularly featured at OpEdNews, but also appearing in the New York Times, Chicago Tribune, International Herald Tribune, CNN, New York Review, Progressive Populist, The Prague Post and other similar publications. For several years he hosted the Beefstew Poetry Readings and his poems have been published in several poetry magazines on and offline, as well as in the Return of Král Majáles, an anthology featuring international writers in Prague. His writing clearly indicates that the key for him to surviving personal difficulties and bridging generations is a wry sense of humor. Much like a minister peppering his sermons with jokes, Jim takes the serious issues of war, poverty or human rights and makes them palatable through wit, irony and down-to-earth bluntness. You need not be an economist to understand his position on financial trading, nor a tweed-jacketed intellectual to interpret his poetry. Through his writing, the sum of his knowledge and life experience crystallize into an ability to ‘say it like it is’ and the wisdom to listen to reader response. Literary friendships, he believes, are born of that. (c) 2012 Jim Freeman. Travel theme. Powered by Blogger.